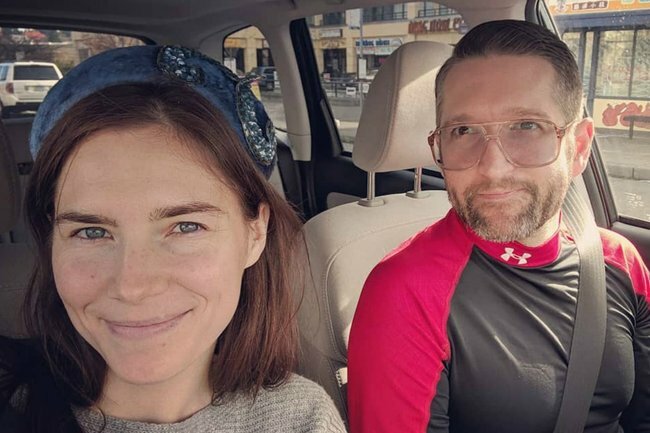 7 years after her release, Amanda Knox is engaged. Seven years ago, Amanda Knox was released from prison. Last week she got engaged. In 2007, when Amanda Knox was just 20 years old, her roommate Meredith Kercher was brutally murdered. The women, who had only known each other for a few weeks, were living in the same house in Perugia, Italy. They were both studying abroad at the time, with Knox originally from the United States and Kercher moving from the UK. By the time fingerprints at the scene were identified as belonging to local man Rudy Guede, police had already charged Knox and her Italian boyfriend, Raffaele Sollecito, with Kercher’s murder. In 2009, Knox was convicted of the crime. She spent a further two years in an Italian prison before she was released on October 23, 2011, when her conviction was overturned on appeal. The next day, Knox flew back to the United States. #TheScarletLetterReports crew is hard at work on Season 2! Knox, then 24, returned to college and wrote a book about her experience called Waiting to Be Heard: A Memoir. In 2014, she was retried in absentia, found guilty and sentenced to 28.5 years in prison. Her nightmare finally ended on March 27, 2015, when Italy’s highest court, the Supreme Court of Cassation, vacated her conviction. Since then, Knox has been trying to rebuild her life, and to build a career in media. 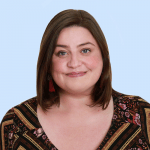 She graduated from college in May 2014, and began working in a bookstore and writing for the West Seattle Herald. The exonerated woman then agreed to take part in Netflix’s Amanda Knox, a documentary directed by Rod Blackhurst and Brian McGinn. This was the first time she had so publicly and so extensively told her own story. The documentary once again propelled Knox into the public eye, so she decided to use her fame for good. She started working for the Innocence Project and began to talk publicly about her experience as a murder suspect, convicted murderer and eventual exoneree. In 2015, Knox joined Instagram. Suddenly she went from a mysterious figure, who the public still heavily scrutinised, to a normal 30-something woman who hung out with her friends and family, loved her cat and enjoyed travelling and taking photos of her food. In 2018, Knox released a five-part series, The Scarlet Letter Reports, through Facebook Watch. In the series she spoke to other women who have withstood intense public scrutiny. In June 2016, Knox began dating Seattle author Christopher Robinson. They later moved in together and openly spoke about their future. On Sunday, Robinson proposed to Knox with a sci-fi themed proposal, which involved a “meteorite”, ominous music, a black light and a smoke machine. In the video which was posted to Instagram, Knox is sewing when the couple hear a loud noise from outside. It was just your average Sunday night, when suddenly… This is just the first minute of the video. To see the whole thing, go to the link in my bio. “What are you doing?” Knox asks. Laughing, she goes to investigate what Robinson called a “meteorite” and finds a tablet that tells the story of their love and the “the Knox-Robinson Coalescence”. Knox, of course, said yes. “I very much love Chris and feel like he is my partner and he would be a wonderful dad,” Knox told People in 2017.